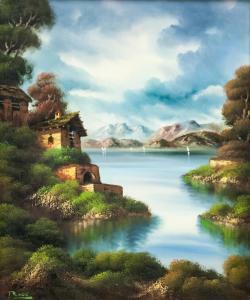 Find artworks, auction results, sale prices and pictures of Ruse Maynard at auctions worldwide. RUSE MAYNARD "MALLARDS DROPPING IN" SIGNED PRINT RUSE MAYNARD "MALLARDS DROPPING IN" SIGNED PRINT, EDITION NUMBER 284/850. Height: 28 & 18 in. by Width: 38 & 27 in. 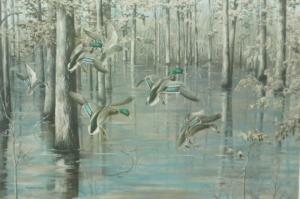 RUSE MAYNARD "MALLARDS DROPPING IN" SIGNED PRINT, EDITION NUMBER 284/850. Height: 28 & 18 in. by Width: 38 & 27 in.